Translation is one of the tools of communication between people and different peoples in different cultures and traditions, so translation has become the most important ways of communication, it is not just the transfer of text from one language to another. It is a mirror reflecting civilization, progress and advancement in various fields from one people to another as translation is not just a communication tool, it is one of the pillars of progress and development of civilization of the peoples, especially in recent times because of the remarkable development taking place in the world, whereas translation became indispensable to keep pace with this continuous progress and development for the transfer of information and exchange of cultures. The translation has played a role in life since the dawn of history in all aspects of life, enriching the social, scientific and cultural life of all the peoples of the world, but translation has been evolving and spreading and became indispensable in the lives of peoples and nations. Developing countries cannot dispense with translation through which it can develop its technological fields for manufacturing and scientific fields for better education and building up advanced educational systems that keep pace with the world, the latest scientific research and other aspects of life through translation of books and literature as well. 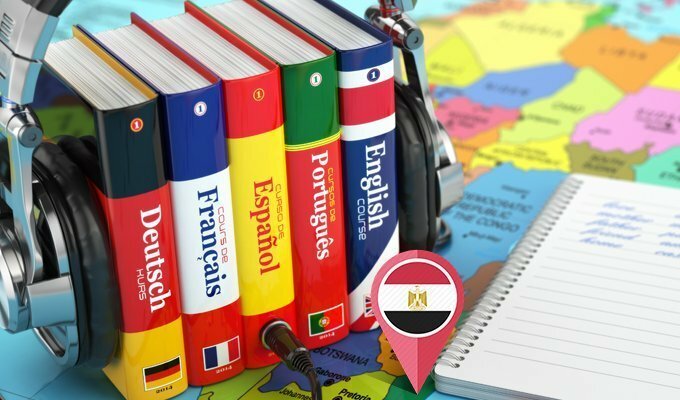 As for translation in Egypt, the role of translation has become undeniable and indispensable in Egypt, especially after the world opening and becoming a small village thanks to translation. The translation in Egypt began as the first country that used translation in the Arab world as the head of the arrow, of course through the eminent Sheikh Rifa’a Al- Tahtawi, so a statue for him was placed at the entrance of the National Center for Translation. It is estimated that the volume of translation in Egypt alone exceeds the production of the entire Arab world. Translation of various official certificates such as birth certificates, university certificates and marriage contracts, as well as the translation of documents and official contracts, translation of medical reports, balance sheets for companies, engineering measurements and other different types of translations has become essential for all individuals and companies to submit to the various official authorities requesting them to finalize transactions such as embassies, consulates and government agencies. So, we believe that the progress of civilization and cultural nations develops along with the evolution and spread of translation in all aspects of life. Alsun Translation Services (ATS) prides on keeping abreast of such development and progress of the world and contributing to it by giving all different types of documents (legal/ medical/ technical/ engineering/ journalism/ economic/ political … etc.) a translation that is certified with all embassies, consulates and all the other government authorities in the Arab Republic of Egypt, as ATS has the best translation team specialized in all fields characterized by accuracy and speed supported by years of work experience.